Five Corners: The Marked Ones by Cathi Shaw tells the story of three adopted sisters being raised in the outskirts of a magical world. Their adoptive mother, Brigit, has done her best to keep them safe—and removed—from any dangers of the outside world. But when three mysterious strangers arrive and threaten the normality of their world, are these girls prepared for the changes that will soon overcome their lives? Each of the sisters, Thia, Kiara, and Mina are joined together by a mysterious mark—one that they come to find they share with their strange visitors, Teague and Caedmon—a mark that may hold greater implications for their lives than even they realize. What I really enjoyed about this story was how much mystery there is. These girls have lived a pretty sheltered existence, one that’s kept them safe from both outside influence and danger, but this all changes when the outside world finds them again. Not only that, but there’s a greater prophesy at hand—a prophesy that could mean the end of these strange, marked individuals. Though I would have liked a little more explanation about the danger throughout the entirety of the story (and not just after the middle half), I think this book does a good job of setting up subsequent novels by not giving too much away, but still doesn’t make the reader feel like they’re intentionally being left in the dark (even if they are). Shaw’s storytelling is really at its best when she takes the time to develop the relationships between the characters, this is by far my favorite aspect of this story. Not just the development between the three sisters, but the changing dynamics between Mina and Teague, and the Kiara and Caedmon. It was really immersive and fun for me to get to know the subtleties of their individual characters through their conversations and reactions and, in some instances, to watch romance bloom naturally. For me, there was a lot of world-building during the first half, so it took a while for the actual story to get going. I think this story would definitely benefit from a trimmer first half, but once the story gets going, it’s an easy and fun read all the way to the end. I really liked how Shaw tied the magic and prophetical elements into the story in a way that wasn’t overly hokey or unbelievable—it added to, rather than took away from the mystery of the overall plot. Though I do think there were too many secondary characters that were introduced, only to disappear from the story later, it’s not a serious gripe and it’s definitely something that can be improved with subsequent novels. All in all, I think readers that are looking for books that are heavy on the fantasy and adventure—and a little lighter on the romance (compared to a lot of YA fiction that seems to only focus on the romance)—they will definitely be pleased with Five Corners: The Marked Ones. 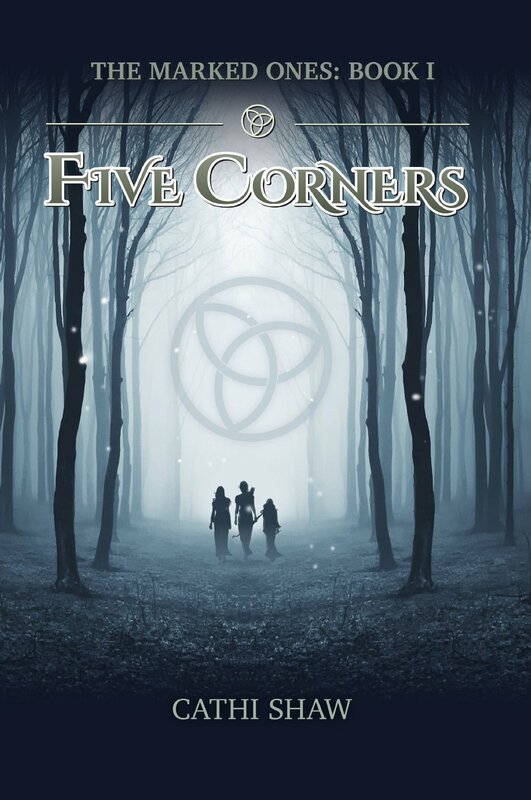 CLICK HERE TO GET A COPY OF FIVE CORNERS TODAY!